With NIC2 I have local net work and it work with IP4v :10.0.0.5 getway :10.0.0.2 with dhcp and dns server and clients start from 10.0.0.100 to 10.0.0.200 and all is working fine. 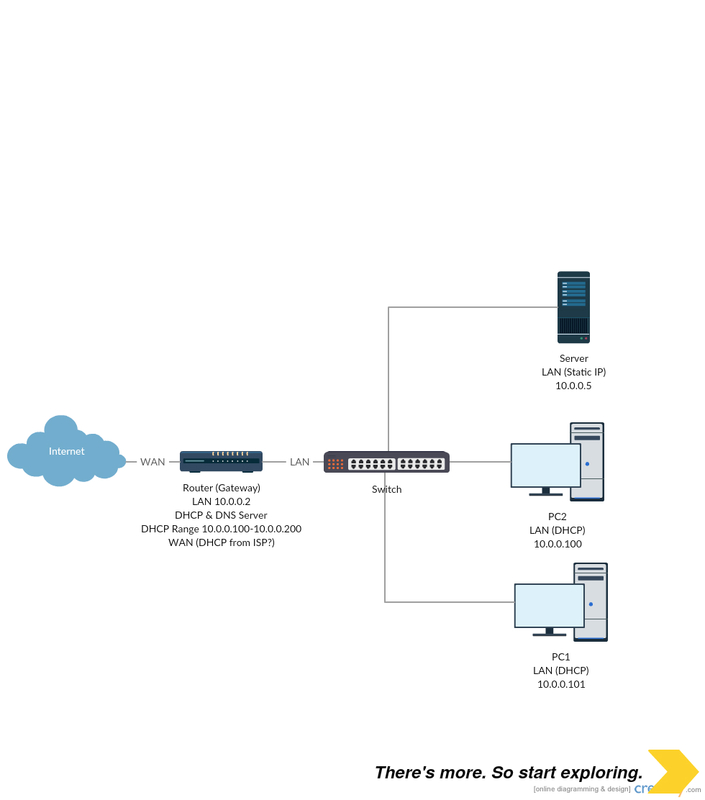 Here is an example of how you should configure your network. Set the IP address of 10.0.0.5 statically on your server (I am assuming you have already done this). As long as each computer is in the same subnet (I am guessing you are using 255.255.255.0, which is commonly called a /24 network), all devices should be able to communicate with each other. A subnet of 255.255.255.0 means you can have a total of 254 devices connected with IP addresses ranging from 10.0.0.1 to 10.0.0.254, regardless if the IP addresses you are using are statically assigned or handed out via DHCP. If this situation does not work for you, please leave a comment and let me know and I will re-word my answer to your question. Not the answer you're looking for? Browse other questions tagged networking router dns windows-server-2012-r2 or ask your own question.